I love this verse from Hosea 6:3. What an appropriate one for the spring season and a wonderful reminder that when we seek to know the Lord and call on Him, He will come to us. 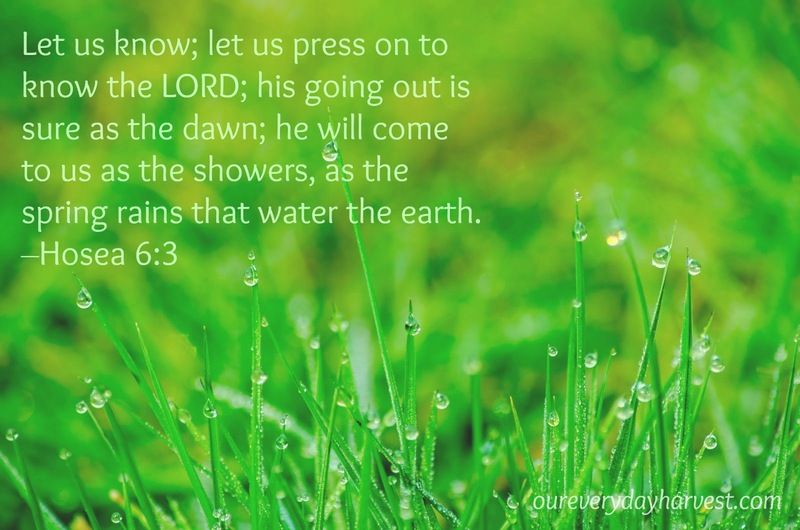 This promise is as certain as the sun rising and the rains that fall to the ground in springtime.